The body lives on blood sugar and oxygen, and the mouth is involved in both. 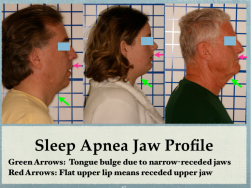 That makes dental offices a logical place to screen Sleep Breathing Disorders. Sleep breathing disorders range from mild snoring without any drop in blood oxygen to full-blown Obstructive Sleep Apnea (OSA) — stop breathing for 10 seconds or longer — with oxygen drop of 4% of more. A medical diagnosis is made through a sleep test. 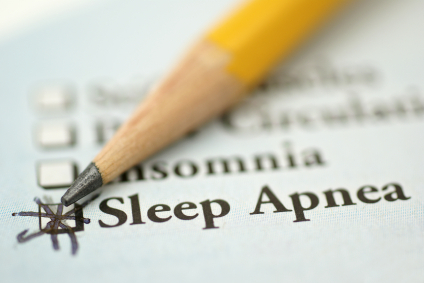 Sustained, long-term CPAP treatment for patients with AD and OSA may result in lasting improvements in sleep and mood as well as a slowing of cognitive deterioration (8). For Holistic Mouth Solutions to sleep apnea, see Oral Appliances as CPAP Alternative. As a Holistic Mouth doctor, Dr. Felix can help determine if your is mouth hurting your health. Take the Holistic Mouth Score and then contact us for a consultation. (1) Das AM, et. al, Expert Rev Cardiovasc Ther. 2009 Jun;7(6):619-26. (6) Santos, et al, Rev Port Pneumol. 2012 Mar;18(2):64-71. (7) Ancoli-Israel S., J Am Geriatr Soc. 2008 Nov;56(11):2076-81. (8) Cook JR, J Clin Sleep Med. 2009 Aug 15;5(4):305-9. (10) Hiestand, D., et.al, Chest, 2006; 130 (3), 780-786.